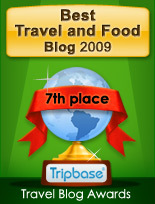 I have had no memorable meals while traveling, neither on trains, planes or airports. Still, when on your way, you often chose to kill some time and have a meal. I have been busy traveling lately, and have had a bite on my way. Here are a few meals I had on my way. 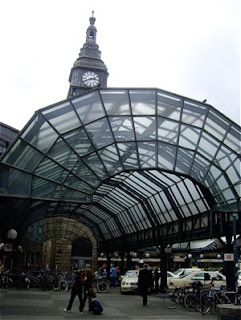 July 4th 2008 I arrived at Frankfurt International Airport on my way to Strasbourg. As I had to wait for nearly three hours for my airport express bus from the airport to Alsace, there was enough time to have a light meal. I sat down in a small bar in the departure area and had a look through the menu. 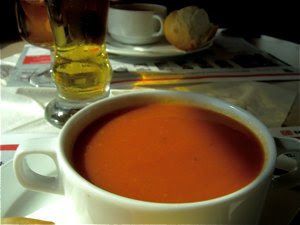 What better to choose - than a soup. 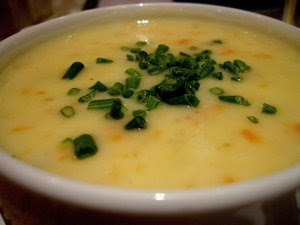 A potato and carrot soup with "speck, i.e. 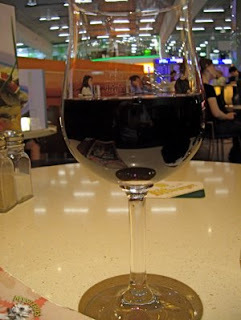 bacon tempted, and as I ordered a glass of red wine made from Merlot, my favorite I dived into my my crime novel "Red wine goes with murder"
A cup of soup with two slices of dark bread with it, just enough to ease the worst appetite, still having had the feeling of a proper meal. This was a pretty decent soup, good taste of potatoes and carrots with cream added and with diced bacon. Delicious - as home made. Perfect before a two hour bus ride and the wine glass (or rather two or three......) lifted my moods before the bus ride ahead. One of the best places to eat, while waiting for take-off is found at Oslo International Airport. Seafood Bar is located in International departures. Here you may indulge in delicacies from the ocean. This time I chose a slice of "Smörgåstårta", a Swedish specialty. This is the savoury counterpart of the cream cake. 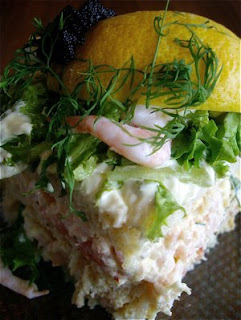 Layers of salmon, shrimps, black roe, salad and mayonnaise. Seafood Bar is not the cheapest place to eat. NOK 120 (€ 15) is very expensive, considering the price of the ingredients. 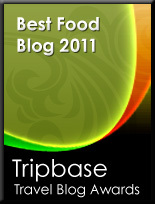 Funny enough, I do not react to the price, as the ingredients are wonderfully fresh and well prepared. And what to drink? Champagne!! What is it with champagne. 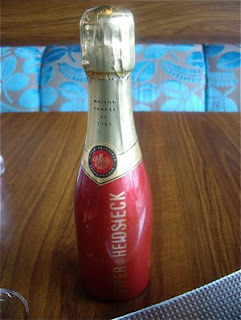 A baby bottle of Piper-Heidsieck giving me two glasses of delicious sparkling nectar, make me feel like a million dollars!!! Meals on trains are hardly anything to write on. I have had bad experiences in Norway. Mediocre food at wicked price is the rule, rather than the exception. 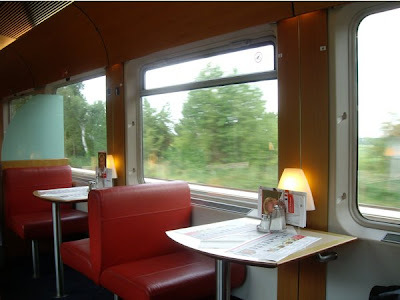 Ketil had described the restaurant on board the German trains in a very favourable way. I had some expectations. As we were on board for less than an hour we had to ask for the meals that did not require too much preparation. Goulash soup and cold sausage salad arrived at our table. The soup was not too impressive. My fellow traveller Malin Kjelsrud ordered the same as I, and claimed it tasted as something out of a tin. I am tempted to agree with her. The cold sausage salad was a brilliant idea. 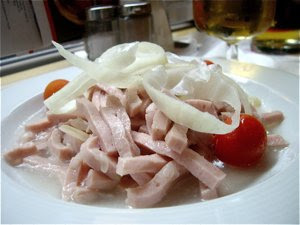 Cold sausages, raw onions in a vinaigrette. Very smart and new way to prepare sausages.